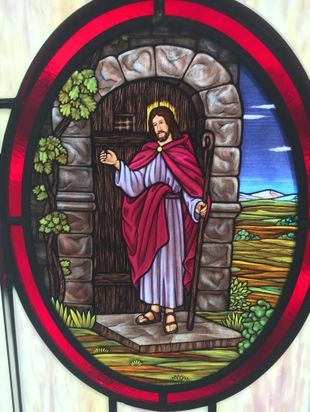 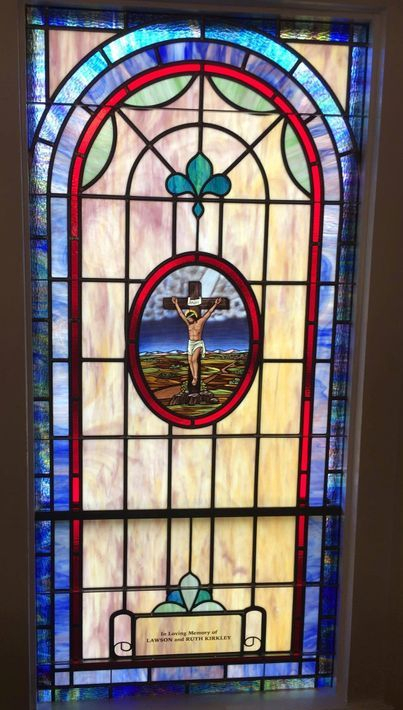 In 2007, Laws Stained Glass Studios installed (1) new opalescent glass window at Beauford Baptist Church in McBee, SC. 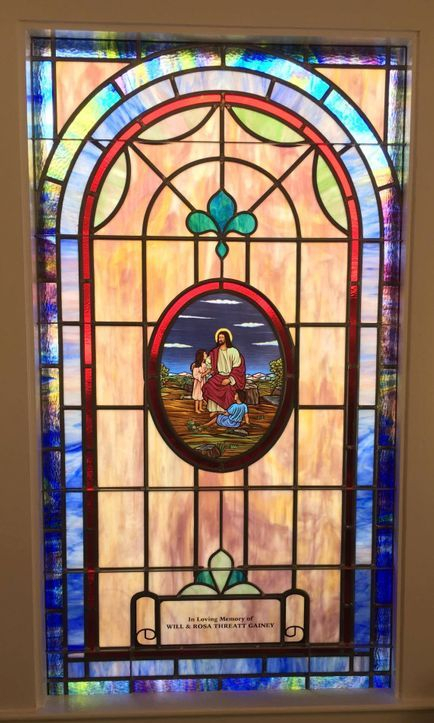 The window (size 60" wide x 80" high with a round top) was divided into three sections. 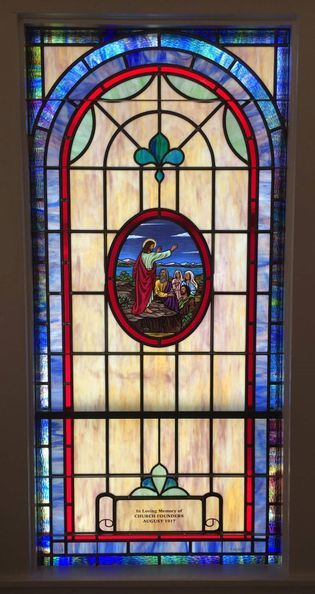 The bottom two sections contained 12" x 16" oval-shaped Biblical scenes and memorial plates. 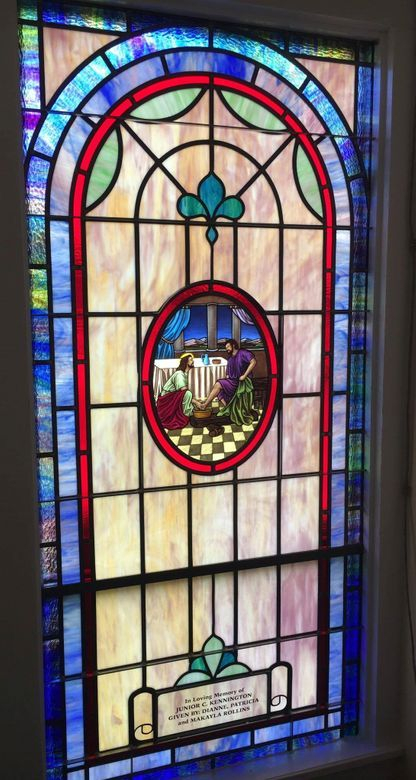 In 2017, Laws Stained Glass Studios returned and installed (13) more opalescent glass windows. 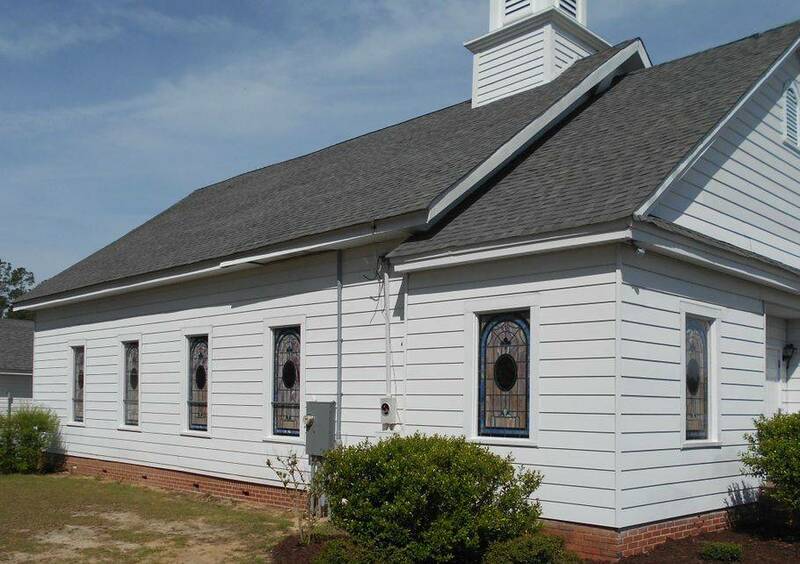 Nine of the windows were size 34" wide by 72" high while four of the windows were shorter at 62" high. 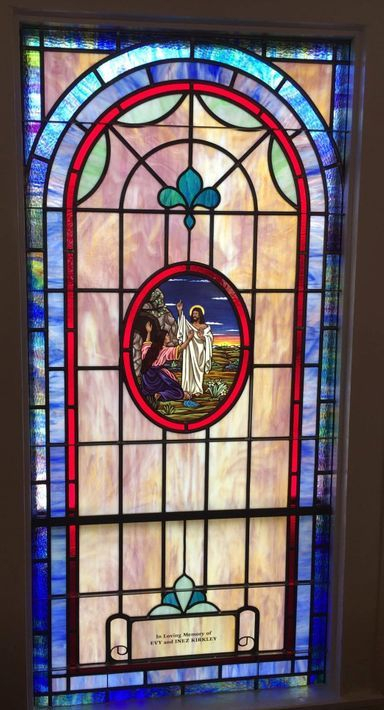 Each window contained a 12" x 16" oval-shaped Biblical scene and a memorial plate. 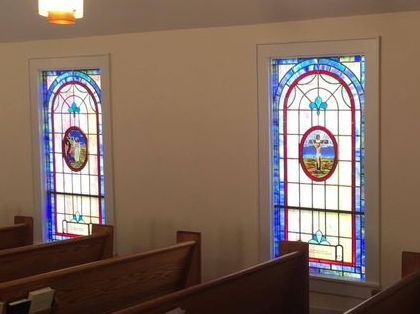 The windows were installed into the existing wood frames. 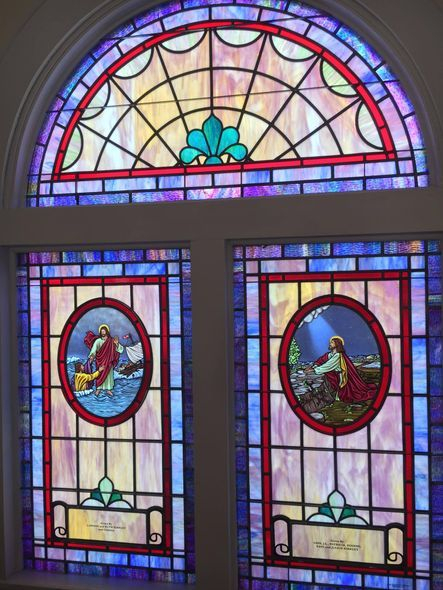 On the outside, the windows were covered with 1/4" Lucite acrylic as the protective covering.